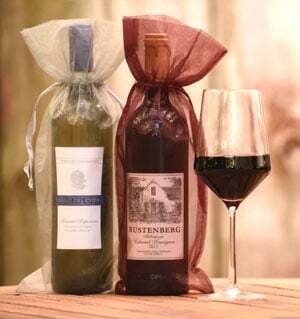 You'll receive two bottles of wine, each from a different international winery in every shipment. You may choose to receive 1 red & 1 white wine, 2 reds, or 2 whites (2 whites option available in Premier Series only). Each shipment also includes our Cellar Notes wine profiles that give you detailed tasting notes, suggested food pairings and recipes, and introduce you to the unique people who are the heart and soul of each winery. Can I combine the different wine club membership types into one membership? The Microbrewed Beer of the Month Club™ – choose between five craft beer clubs offering US craft beer, international beer, India Pale Ales, and hard-to-find rare beers. The Premium Cigar of the Month Club™ – choose between two cigar club options, including our Rare Cigar Club, and receive super-premium, hand-rolled cigars each month. The Gourmet Cheese of the Month Club – you'll receive three ½-pound selections of artisanal cheese featured in The Original Cheese Club and small batch rare cheese from our Rare Cheese Club. What is meant by an "Estate Bottled" wine? It's an important distinction as not all wine clubs offer only Estate Bottled selections. Estate bottled wines are produced and bottled at a winery from grapes grown in the winery's own vineyards, or in vineyards under their long-term control. This ensures the winemakers have the oversight necessary to most fully develop their grapes' varietal character and decide the perfect time for harvest. It also ensures each wine produced by the winery has a distinct and consistent sense of place, or terroir, that reflects the soil and climate of its specific region of origin. This stands in contrast to many lesser quality and mass produced wines made by wineries that purchase grapes each year on the open market. Our 100% Satisfaction Guarantee ensures that every wine you purchase from The International Wine of the Month Club meets your high standards or we will replace it or refund your purchase. Simple as that. Why should I choose The International Wine of the Month Club? Each shipment from The International Wine of the Month Club offers an international variety of limited production wines at great values. Our tasting panel selection process ensures that each featured wine is not chosen solely by one person, but rather a consensus among our primary panel comprised sommeliers, professional tasters, and winemakers and our secondary panel which includes upwards of thirty or more tasters that run the gamut of wine enthusiasts. In short, we go out of our way to find wines that real crowd pleasers, wines you’ll be thrilled to get, and that’s why we’re considered to be one of the best monthly wine clubs available online. We stand by every bottle of wine we feature, and our 100% Satisfaction Guarantee and dedication to relationship-driven customer service will confirm your decision to entrust us with your business. Learn More about our Selection Process. Your card will be charged on the 10th of the month that membership commences. If you chose to have your membership commence this month, but your order was placed after the 10th, your card will be charged within 2 business days. Charges for memberships commencing in a future month will take place on the 10th of the first month shipped. We ship our Wine clubs to all states except Alabama, Alaska, Hawaii, Kentucky, Mississippi, and Utah, and our Beer clubs to all states except Alabama, Alaska, Hawaii, Kentucky, Mississippi, and Utah. Beer club only: Please note that there are a few other states for which we are unable to deliver Beer to certain (usually rural) zip codes. During checkout, our website will check your shipping address and alert you if it is in one of these zip codes. DELIVERIES FOR BEER AND/OR WINE: Due to unique challenges required to deliver beer and wine in certain regions, some orders can take an additional 1-2 weeks to arrive depending on when your order was placed. Please call our Customer Service Department at 800-625-8238 for an estimated time of arrival. Cheese, Chocolate, and Flower clubs are available to all states except Alaska and Hawaii. Wine and beer shipments usually arrive the last week of each month. NOTE: Due to unique challenges required to deliver beer and wine in certain regions, occasionally the first shipment of a membership can take an additional 1-2 weeks to arrive depending on when your order was placed. Please call our Customer Service Department at 800-625-8238 for an estimated time of arrival for your delivery area. Does someone have to be available to sign for the deliveries? Yes. Someone over 21 years of age will need to sign for your wine shipment. An ID may be required by the carrier. Our discrete packaging allows many of our members to ship to a work location or a neighbor who is often home. What if I am not home to sign for my package or am going on vacation? Please either call us at 800-625-8238 or email us at [email protected] no later than the 1st of the month to inform us if you have moved, plan to be out of town, or otherwise will not be able to accept delivery that month so that we can either re-route or reschedule your shipment. We use common carriers to deliver all of our products. If you are not home to sign for your shipment, the carrier will leave a door tag letting you know a delivery attempt has been made. After three attempts the product will be sent back to the distribution center at which time we can re-ship your package for an additional shipping cost of $15.